The private spaceflight company Orbital Sciences Corp. has delayed the launch of its second robotic resupply mission to the International Space Station to fully investigate a malfunction that caused the failure of a rocket engine on a launch pad last week. An AJ26 engine that was expected to help launch the company's Antares rocket to space in 2015 failed on a test stand at NASA's Stennis Space Center in Mississippi on May 22. 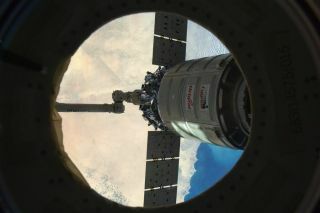 Because of the malfunction, Orbital Sciences representatives have decided to postpone the launch of the company's unmanned Cygnus spacecraft and Antares rocket scheduled for June 10. The mission will not launch to the space station before June 17. Orbital Sciences holds a $1.9 billion contract with NASA to fly eight unmanned missions using the company's Cygnus spacecraft and Antares rocket to deliver supplies to the orbiting outpost. The company's first contracted mission to the space station occurred in January 2014.